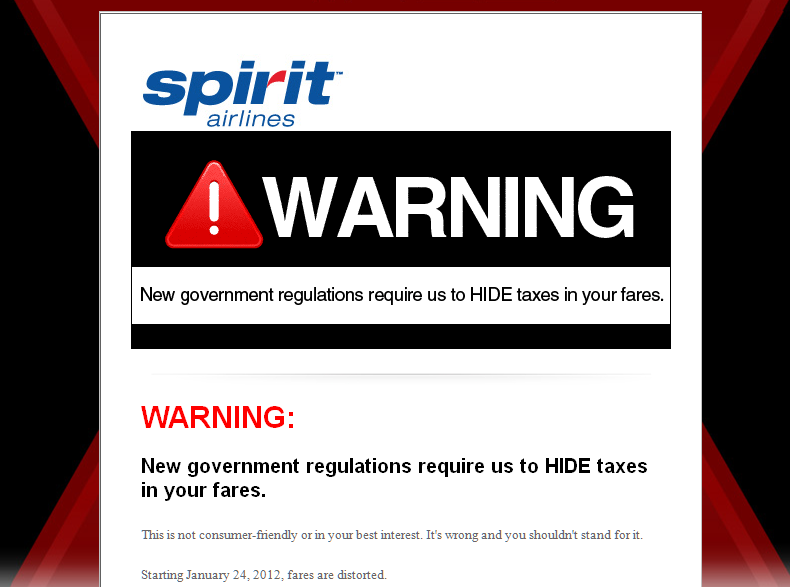 Check out this email I got from Spirit Airlines discussing how our U.S. government wants to HIDE government taxes from the American people. Most transparent Administration ever! NOT! Seriously? How can we as a republic support or oppose a particular political party or candidate if we cannot see the policies they've enacted? Hiding taxes is certainly one way to avoid the ire of the American voter! 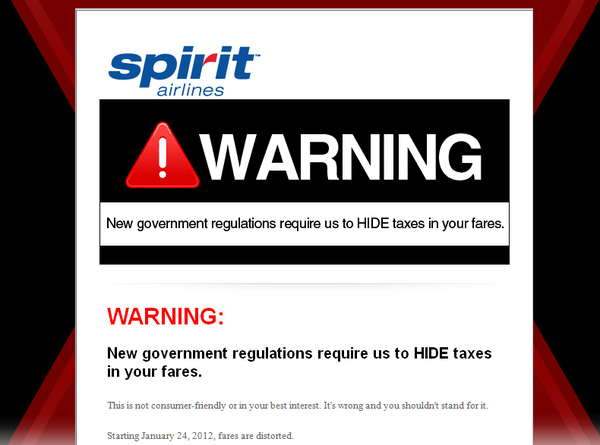 New government regulations require us to HIDE taxes in your fares. This is not consumer-friendly or in your best interest. It's wrong and you shouldn't stand for it. Starting January 24, 2012, fares are distorted. Thanks to the U.S. Department of Transportation's latest fare rules, Spirit must now HIDE the government's taxes and fees in your fares. And if they can do it to the airline industry, what's next? What can you do to help stop this injustice? Join us in keeping government taxes and fees low and transparent by contacting your elected officials.